ST. LOUIS — Brock Boeser scored his second career hat trick, Elias Pettersson had a goal and four assists, and the Vancouver Canucks beat the St. Louis Blues 6-1 on Sunday. Jake Allen stopped three of six shots in 14:06 before being pulled in favour of Chad Johnson, who made 12 saves. Allen recorded his first shutout of the season Friday at Winnipeg. Boeser fired a shot from just inside the blue line that appeared to deflect off Blues defenceman Joel Edmundson 8:45 into the third period to match his career high of three goals. His previous hat trick was Nov. 4, 2017 against Pittsburgh. Boeser scored his first goal on a shot that deflected off the end boards and hit the back of Allen’s leg pads before trickling into the net. 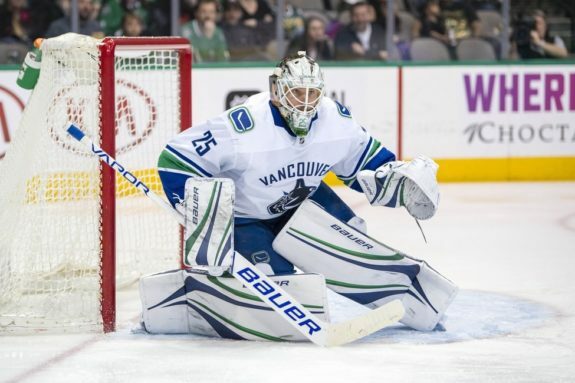 Jordan Kyrou dashed Markstrom’s chance for a shutout when he lifted a puck over Markstrom’s shoulder 8:05 into the third period for his first NHL goal. NOTES: Blues LW David Perron missed his first game of the season as a healthy scratch. … St. Louis allowed at least five goals at home for the sixth time in 16 games. … Pettersson’s 15 goals and 30 points lead all NHL rookies. … Boeser has six points (five goals, one assist) in his last five games.